Places to Visit Texas with a Capital AUSTIN. In the 9 months we have been in the RV we have spent almost 6 on the road. In all of this Austin was full of the biggest challenges. Not because Austin is a challenge but because as we moved from DFW area to Austin a perfect culmination of stuff piled up. A proverbial poo storm. When I set out I said I would write about the best and the worst. While Austin got better, it didn’t start so well. For starters, we just finished a 2 month stint in Henderson, Texas. A challenging 2 month stint. We were low on funds, low on work, and far away from almost everything. 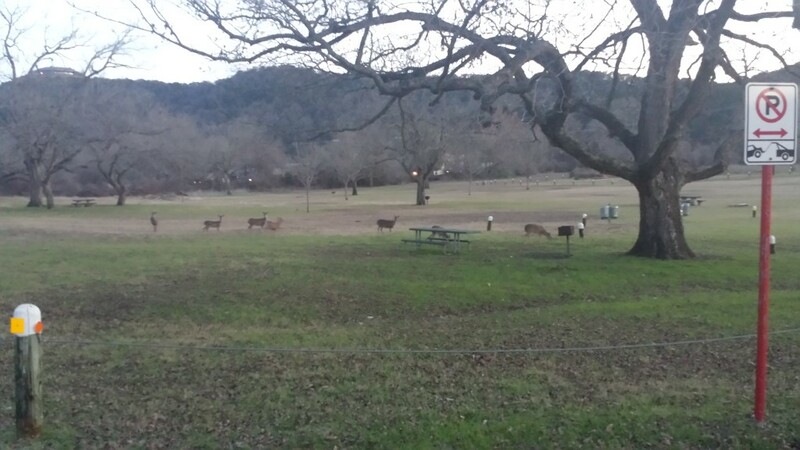 The closest (“large”) town was Tyler at a 50 minute drive from the RV Park. The time wasn’t all that bad, just full of challenges and frustrations that I have not yet sorted out in my mind from the good times we had. I still mainly see the challenges we faced. Over time the challenges will fade as I work through them and the good will shine through – like the wonderful family we spent so much time with. But I have yet to write about our time in Henderson because if I did now the good would be tainted with the bad. I have to say if I step back there was far more good than bad. It just didn’t feel that way. Now after being semi-idle for 2 months Gail, the boys, and I were starting back at school, some business came in, and a good deal of travel money was ready. We went from feeling like we were watching paint dry to EVERYTHINGISSTARTINGRIGHTNOW!!!!. Things went smooth in the Dallas Fort Worth Area. Then came Austin. The day started out late, and slow. Travel was already slow, once we got close to Austin it slowed even more by rain, Austin rush hour and our beloved Cali-Texican drivers. It was dark, not just overcast, but dark as in pitch black when we arrived to our planned camping spot at 6:30 pm. (I talked .. err whined … a little about this on Facebook) There were no instructions for after hour check ins, no maps, no usable information on even what direction we were supposed to go. After spending nearly a half hour calling and looking over the welcome booth including walking the area with a flash light to figure out where the roads went, we headed down what we now know as the main road. Slow going we worked our way to the RV parking area. Over the course of a few hours we walked, drove, turned and attempted to back the RV in pitch black, pouring rain near a river into a spot that should have only taken 5 minutes to park. In the process I even ended up chasing the truck and RV up a hill, for the first time ever it was accidentally left in drive and in idle had enough power to move the RV, truck and kids up a hill away from the river – this was after several driver changes and ins and outs of the RV. We couldn’t see a thing even with our flash lights. Once we finally baked into the spot, we had issues with leveling, deploying the landing gear, loose wires, blown fuse, and unhooking the truck. Again in the pitch black cold rain, near the Colorado River. All in all it took 3 hours to complete a 20 minute unhook process, again in the cold rain. (Did I mention the rain?) To top it all off we had hook the back up to the truck in the morning to pull the RV forward ONE (flipping!) INCH so that we could fully extend the slides. This, my friends, is what happens when you forget to check to make sure the slides will clear the pole next to the power box. And once inside there was also an episode of explosive mustard, that was fun! This was how we started Austin – praying that we wouldn’t break and trusting that God was faithful, but hating the day none the less. The next couple of days were cold and rainy, all of our plans were outdoors but none of our gear, or attitudes, were ready to get soaked in what felt like the near freezing rain. Being confined to indoor activities was a disappointment but in the end wasn’t so bad. As I mentioned earlier more than travel had started the week prior, so we took the rainy days to do other things that we were falling behind on. We made the best of it and for the most part made it though. We paid for a few more nights (the place we chose to stay was only $20 a night, which is $20 to $40 dollars cheaper per night than the other places around Austin. The stress from our arrival began to subside. We were getting caught up and no sooner were we caught up than the sun came out and things began to warm up. By Friday it was still chilly but we could at least go outside without getting soaked. 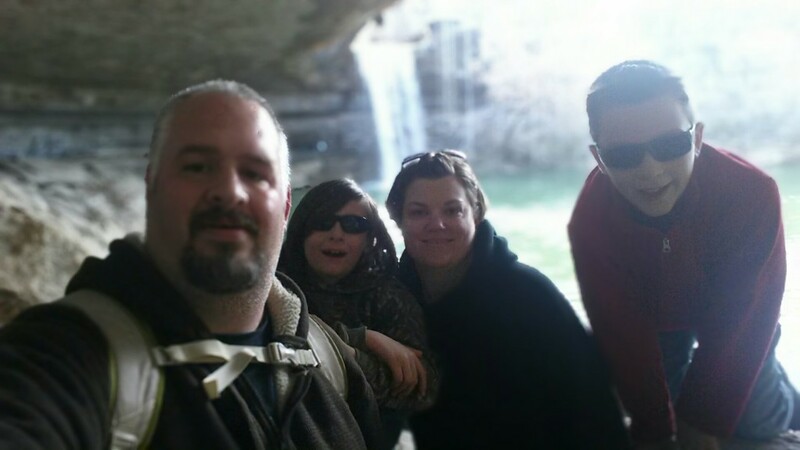 We hiked the roads and explored the park a little and got out to some of the surrounding area. 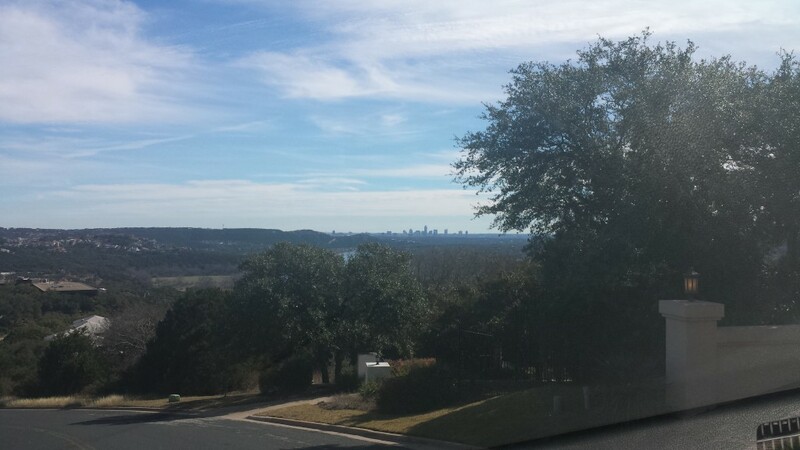 For the first time we could see the Austin skyline and the Hill Country views. That evening I headed to 6th street to meet a friend and I left Gail (my wonderful, introverted wife) and the boys (who needed to go to bed at a decent hour) at home. They needed some quiet and I needed some crowd and crazy that didn’t involve my stuff being broken or messed up. Downtown Austin on the weekends is a fun place. I’m not a major drinker but I enjoy a night out on the town and this was not a disappointment. Ian (my friend who I was meeting down there) and I spent several hours checking out different bars, restaurants, and hang out areas, in what has become these50 style of see it all and try something new. At Touches’ we were treated to some fire breathing bar-tending and cheap – get – our – night – started specials. At the Arcade we were greeted with retro (this generations retro) gaming machines. At B.D. Riles we were treated to fantastic fish and chips and some great jazz / blues mix life performance. We enjoyed some live acoustic music at Darwin’s along with some 512 IPA that is made in Austin. We stopped at / viewed several other locations, until we ended the night at Handlebar bar which is a generation y college hangout. I was probably the oldest one there, but it was fun to watch people fall off the seesaw and spill their drinks and fall off the spring horses that are mounted on the rooftop patio. That’s going to hurt tomorrow and you won’t even know why. After some laughs Ian and I agreed we were too old and it was past our bedtimes. With no shame and no “ragrets” we called it a night and headed home. Saturday my family and I were finally able to check out the places that were on our list for our one day stop. The wait was well worth it as we went to check out Hamilton Pool Preserve and the ranch that is nearby. We ended the day with a frigid swim in Deep Eddy spring water filled city pool. Hamilton Pool is a Austin (Austin metro, it’s actually in Hamilton which is 30 min outside Austin) Nature reserve that after a 1/4 mile hike leads to a beautiful waterfall and swim hole (closed to swimming in the winter). You can traverse the path around the pool for some amazing pictures. There is also a hike out to the main river that was closed due to mud and flood damage (remember the rain that we were greeted with when we got to Austin) but we had a great time none the less. 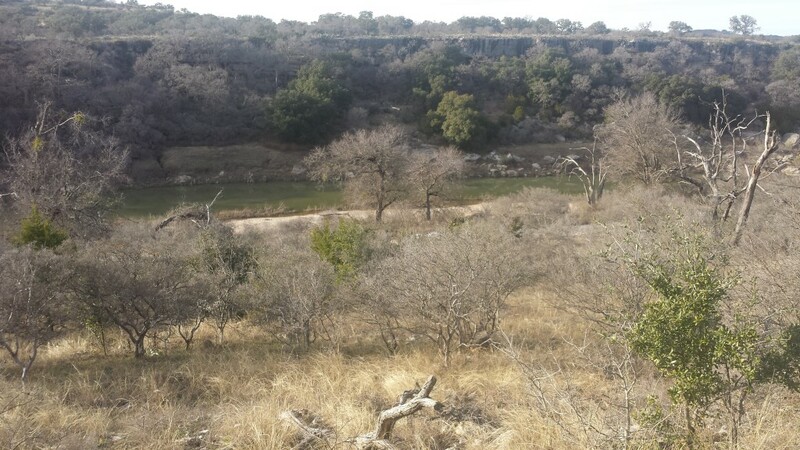 The Ranch Reserve is free with paid parking from Hamilton Pool, and is a river side nature reserve that we spent some time driving and hiking in. The place closed before nightfall and after Hamilton Pool so we only had about an hour to explore before we headed back to Austin. Our original plan to close the evening was to swim in Barton Springs Pool. It too was closed due to flood damage, so we settled for the pool across the river called Deep Eddy. We swam for about 20 minutes before we (all the BOYS) were too cold to move. It was fun and was the first time we had ever been in a spring water pool. No chlorine, no salt, no stink, no burn.It was a cold swim, the water was in the mid 60’s with the air temp in the high 40’s. Zander was the only one that didn’t squeal upon jumping in. He immediately grinned and began to swim laps and didn’t stop doing laps until we had to drag him out of the water. It was the first swim we had in months and was worth it. We got to take hot high pressure showers once we got out!